after one of humanity's greatest failures. 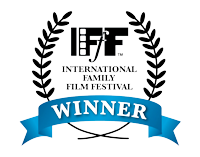 Winner of Best Foreign Documentary at the International Family Film Festival, Rwanda: hope rises is a documentary exploring how Rwanda is healing in the years following genocide. It's a story of a young couple's restoration and healing, and their struggle towards a hopeful future. When genocide explodes in 1994, Nicholas, a Hutu, must discover how to protect his wife Elsie, a Tutsi, from the murderous Hutu militias. Elsie assumes a false identity, and the two begin a dangerous journey to flee the country. When they finally cross into neighbouring Congo, Nicholas and Elsie discover their journey has only just begun. 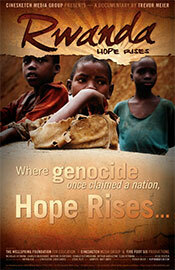 After such evil, how can Hutu and Tutsi forgive one another? How can a nation heal? How can husband and wife face their past, forgive, and rebuild?